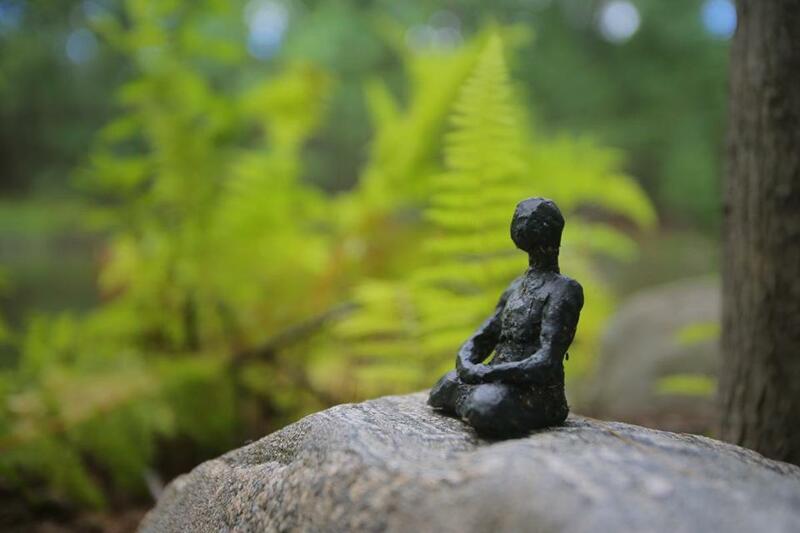 Meditating Figure by Linda Hoffman, shown at the 10th annual outdoor sculpture exhibit in 2016 at Old Frog Pond Farm and Studio in Harvard. Looks peaceful, doesn’t it? Meditation might be the ultimate antidote to the stresses of modern life, at least according to the scientific research on it. Studies suggest that meditating regularly can help alleviate insomnia, anxiety, and depression, and increase creativity, among other benefits. And it has its fair share of famous boosters, too. Ellen DeGeneres and Gisele Bundchen are just a couple of the celebrities who have endorsed the present-moment-awareness technique. But it is still not as widely used as some other complementary health practices, such as yoga. Currently, about 8 percent of US adults practice meditation, according to the latest information available from the Centers for Disease Control and Prevention National Health Interview Survey. He initially turned to the practice years ago as a last-resort remedy for the crippling stress and insomnia brought on by his job in television production. “Within a week, I was sleeping better,” says Kelley, who went on to study with Deepak Chopra and other experts. “I couldn’t believe it.” Some 15 years later, he’s still closing his eyes to meditate every day. Successful resolutions don’t need to look perfect every day. In fact, no one has to see them, Rebecca Pacheco writes. 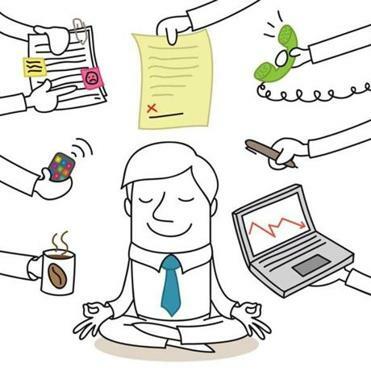 Here are a few tips from meditation specialists that might help jump-start a practice of your own. It’s normal for beginners to get confused or overwhelmed by the various styles of meditation, including transcendental, Zen, vipassana, yogic, and loving-kindness. To find a type that resonates with you, start by doing some light reading on the different styles to see which one might be a good fit, suggests Chas DiCapua, resident teacher at the Insight Meditation Society in Barre. One of the main things to consider: Are you attracted to a practice that exists within a larger religious or spiritual context, such as the Buddhist vipassana technique taught by the Insight Meditation Society, or are you looking for more of a secular approach? “Connect with your intention and motivation,” he adds. Then, well, you simply have to try it, ideally by participating in a class or a sitting group session led by an experienced instructor. If want to practice in the comfort of your own home, that’s certainly possible, too. While specific techniques or instructions may differ depending on the type, meditation generally involves bringing attention to the present moment by focusing on the breath, a sound or phrase known as a mantra, or bodily sensations. Commit to doing it at the same time every day, ideally in the morning, suggests instructor Meghan Dutton of Newburyport-based Awake Minds: Yoga and Mindfulness. “It’s easier to quiet the mind if you meditate before you look at your text messages, e-mail, and social media, so there aren’t all of those impressions in the brain,” she says. A calm businessman escapes chaos. You can, too, with a little effort. She suggests starting with five minutes of practice, then gradually working up to 10 or 20 minutes, if possible. If that’s too challenging, scale back to fewer minutes. It is best to meditate in an upright position, but you don’t necessarily need to sit on the floor in lotus position, Kelley says. “If I was spending the whole time sitting there thinking about how my abs hurt, I wouldn’t be meditating every day,” he adds. Then, set a timer for the desired practice time. Sit comfortably with your spine straight and your eyes closed. Focus on the breath. Inhale to a silent count of four, and exhale to a silent count of seven. Instead of counting, you may prefer to focus on the words “breathing in” and “breathing out,” Kelley suggests. “Simply see if you can sit for one, two breaths without your mind jumping in and telling you do something else,” he adds. If thoughts enter, try not to judge them or attach to them. Simply work to bring your attention back to present-moment awareness. One common misconception is that the goal of meditation is to eradicate all thoughts. “Rather, the goal is to be aware of the thoughts,” DiCapua says. Even though it’s a solitary activity, meditating with others for at least part of your practice time can help you stick with it. 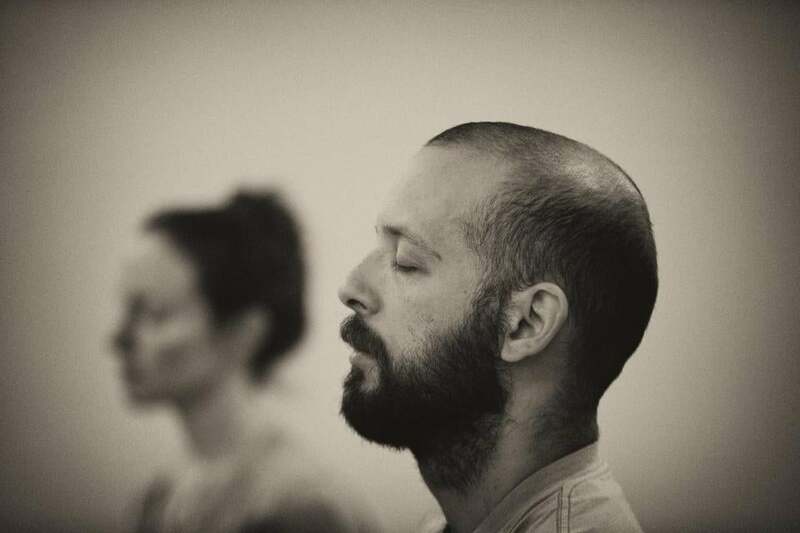 Leo March and Liz Donohue meditated in a class called Mindful Self Compassion, led by Brenda Rogers at the Arlington Center in Arlington in 2015. For additional support and to deepen your practice, consider signing up for a weekend-long retreat at a meditation or wellness center. The Insight Meditation Center in Barre, where DiCapua teaches, as well as Kripalu in Stockbridge and the Omega Institute in Rhinebeck, N.Y., each host retreats appropriate for beginners on a regular basis. If you’d rather connect virtually, try a smartphone app. Apps such as Insight Timer, Calm, and Headspace offer tools such as discussion groups, timers, progress trackers, and guided meditations. And don’t get discouraged if you don’t see results immediately. Give it at least a month of consistent practice before fully judging whether it’s beneficial for you, Kelley advises. Jenna Pelletier can be reached at jennapelletier@gmail.com.